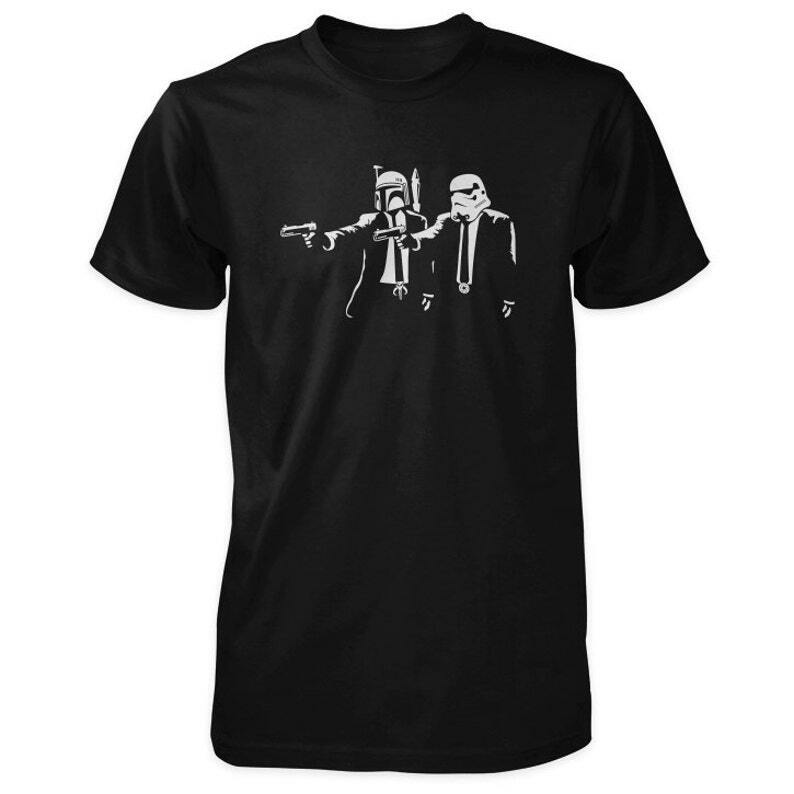 This hand screened printed t-shirt features original Dagobah vector artwork of a Star Wars and Pulp Fiction inspired mashup of the bounty hunter Boba Fett and an Imperial Stormtrooper. A truly awesome creation. Bought as a birthday present. My husband is going to love it. It got here super fast and it is fantastic.